There are a few basic steps involved in developing any property. Here’s how we work through them. The first step is the ideation and concepting. You own land or an old building, or maybe you want to own land or a building. Maybe you have an idea for a project, but don’t understand how to make it a reality. At this step, the goal is to help you define your idea then cultivate it into a preliminary project scope. What do the numbers look like? Is there a demand for that use? Is it zoned correctly? There are a hundred questions like this that you need to know. 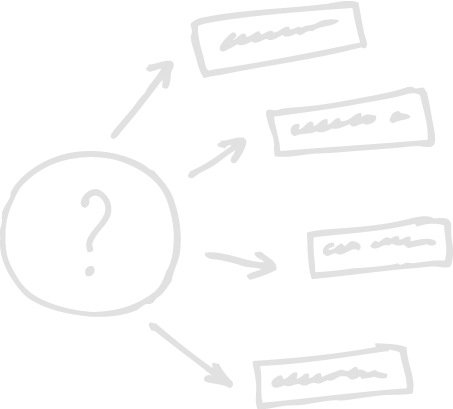 In step two, we tackle them one by one to help you determine if the concept is viable. Step three is about gaining access to the site. 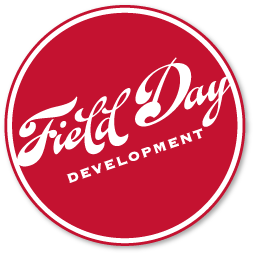 If you don’t already have it, Field Day Development can assist in acquiring the property. At this point, we assemble the appropriate development team for the project. We have a long list of partners including architects, engineers, contractors, legal, accounting, environmental, marketing, and more. Because the architects and engineers are crucial members of the team, we spend a considerable amount of time nailing down the details with them. This is the phase where all of the numbers come together and where we re-work them until we craft a financial scenario for your project that works. We’ll prepare the total project budget, detail out revenues and expenses, and create a ten-year pro forma. There are many ways to finance a project. Whether it’s conventional bank financing, tax credits, grants, tax increment financing, or a combination approach, we’ll put the financing together and work with the various parties involved. There is a lot of paperwork and coordination in the financing step and it is possibly the most crucial piece of the entire process. We’ll oversee construction by working with the general contractor to solve issues as they come up to ensure the project is completed on time and in budget. This includes reviewing changes to scope, unforeseen issues, completion dates, etc. Finally, we help you transition your project into operations. 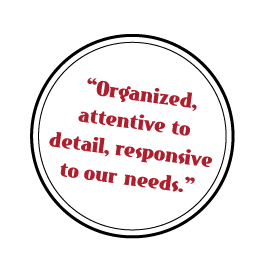 We’ll help with setting up the accounting and financial operations. 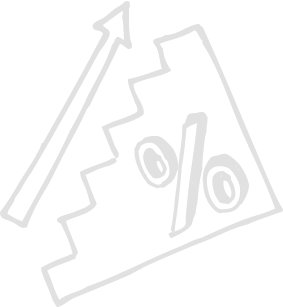 We also oversee converting your construction financing into permanent financing and finalize any other financial obligations. 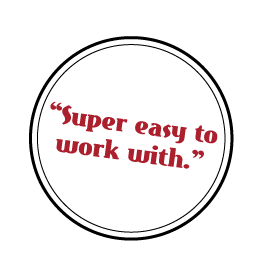 We even assist with helping you select a property manager that meets your needs. Our process is uniquely tailored to fit each project, so some steps may occur in a different order or concurrently with others.